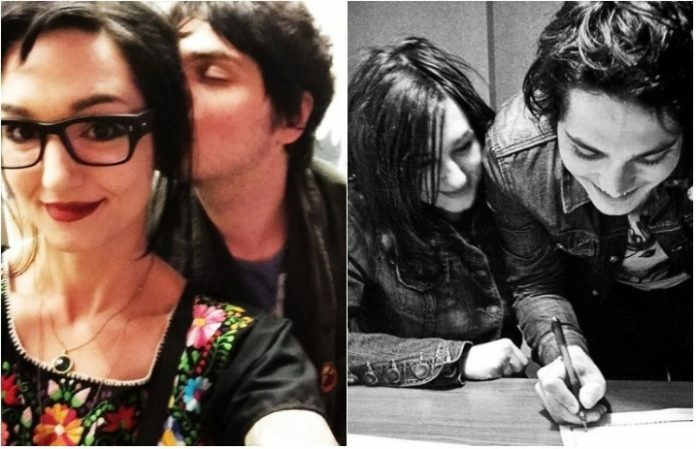 Grab your tissues, because it's Lindsey Way's birthday and Gerard Way has shared the most adorable message. No, really. It will make you cry. If your eyes are already filled up with tears, don't worry, because ours are too. “There is only one of her, and there will never be another. I love you sweetheart, with every heartbeat I have,” Way writes, before wishing her happy birthday in all caps. Another year, another birthday, another moment I count my blessings that I get to spend another day with her. I will write these every year, and every year I will try and out-do the last message. Because she is worth it, and because I love her so very much. She is inspirational, a nova of talent and energy, the best wife, best friend, and mother to our child I could possibly imagine— well past what I could imagine in fact. Strong, pure and good, she is stunningly gorgeous, she is kind. She loves life, she loves her friends, she loves squirrels and plants, and she loves me so much I feel more of it every single day. I wish @xlindseywayx the happiest of birthdays on this day, and you should too. There is only one of her, and there will never be another. I love you sweetheart, with every heartbeat I have. HAPPY BIRTHDAY LINDSEY WAY! And now here we are, ugly crying. Happy birthday to Lindsey Way, we hope you're having an amazing day!